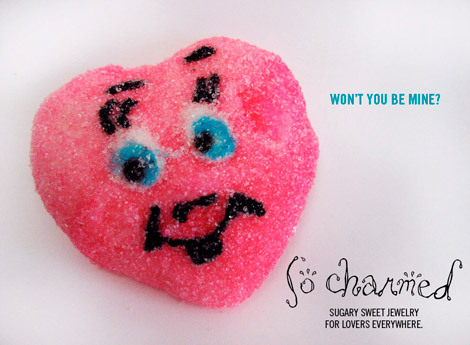 What’s better than a leering, sugar-coated, petrified heart candy on Valentine’s Day? 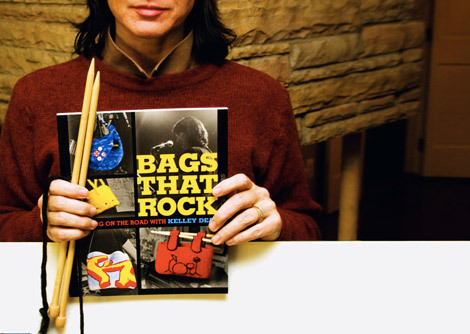 How about a FREE FONT designed by none other than Kelley Deal! Yep, ya read that right… Breeder, identical twin sister of Kim, crafter, and all around super cool girl has designed Saltwater and it’s yours for the downloading. 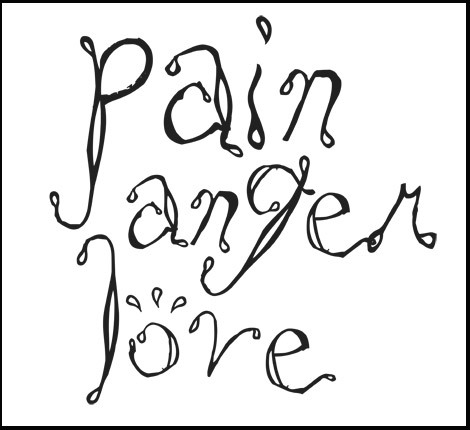 I actually discovered it for use in an embroidery project I started last weekend… . I love the weird emotional aspects of it. Is it crying saltwater tears? Reminscent of the omnipresent emigre font, Remedy, it has an edgier appeal… wobbly, and a little psychotic. It’s working out well for the embroidery; I’ll post pics when that’s a little further along. Like in 2011 or something. I’m not so fast at getting these projects done, you know? In the meantime, you can also enjoy Saltwater on the So Charmed home page, along with another shot of this piece of candy that has been sitting on my desk for two years. And, just what has your favorite Breeder and mine been up to? Knitting, felting and writing a how-to book. You can also buy her very lovely scarves on her web site but be warned, they sell out super fast. GO Kelley!